Alex has over 20 years of professional experience that span hands-on software development roles, product and software development leadership positions and consulting engagements in a variety of industries, such as Oil and Gas, Investment Banking, Commodities Trading and Information Technologies. Presently Alex is serving as a Principal at ProServ Technologies LLC where he helps his customers to build sustainable software development operations using cutting edge technologies and utilizing various Agile methods and techniques. 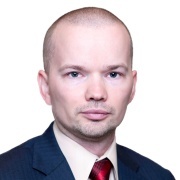 Alex holds an MBA degree from the University of Texas at Austin and a Master’s degree in Banking and Finance from All-Russian State Distance-Learning Institute of Finance and Economics.